Veteran musician Shahnaz Rahmatullah has been honoured with the life time achievement award at the Symphony-Channel i Music Awards 2016. Apart from her the award was given to a number of talented musicians from both the golden old and bright young generations in seventeen categories. Thirteen awardees were selected by the critics while another four went to musical icons rated on their poplar choice. The award giving ceremony was held at the ballroom of Hotel Westin, Gulshan in the city on May 27. Channel i and Addison Group were the official organisers of the event. 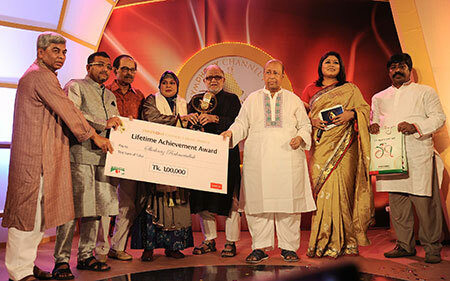 Faridur Reza Sagar, managing director of Channel i; Jakaria Shahid, managing director of Addison Group; Nayak Raj Razzak; veteran singer Syed Abdul Hadi and Jahiruddin Mahmud Mamun, member of board of directors of Channel i were on stage to give the life time achievement award to Shahnaz Rahmatullah. A minute of silence was observed towards the beginning of the award giving ceremony in remembrance of the deceased icons of the music industry of the country. Afterwards in the musical session a large number of celebrated singers including Momtaz, Fazlur Rahman Babu, Sadi Muhammad, Shawon, Tarin, Kusum Sikder, popular band Joler Gaan and seven top contestants of Channel i Banglar Gaan music competition entertained the audience with their spirit lifting performances. Awardees determined best by the critics are- Priyanga Gope for classical music, Auditi Mohsin for Tagore renditions, Yasmin Moshtari for Nazrul renditions, Kanak Chapa for modern songs, Nirbachitaa as a newbie artiste, Alauddin Ali for music direction, Rabiul Islam Jibon for lyrics, Belal Khan and Konal for movie songs, Shironaamhin for band music, Azam Babu for sound engineering of recorded albums, Pan B for cover designing of albums and Tanim Rahman Angshu for directing music video. The four remaining categories were based on popularity. Fahmida Nabi and band Obscure were deemed most popular for their modern songs. 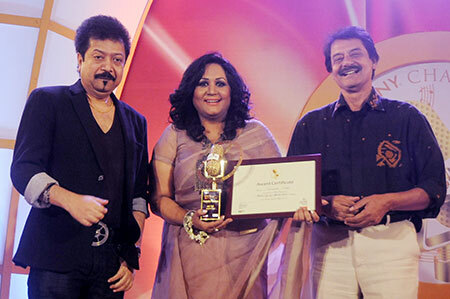 Jennifer Jafrin Luipa and Oishi won the prize for the best new singer jointly while ace singer Samina Chowdhury won the best popular award for her movie song Goone Goone Ek Dui in the movie Sutpar Thikana. 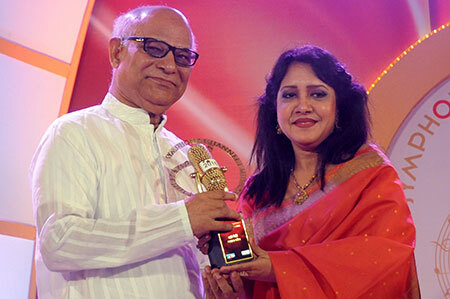 Film actor Razzak and renowned singers like Syed Abdul Hadi, Lucky Akhand, Alam Khan, Tapan Mahmud, Kumar Biswajit, Rezwana Choudhury Bannya, Bappa Mazumder and Manam Ahmed delivered the awards to the respective recipients. Factoring can help NBFIs to mitigate risks!